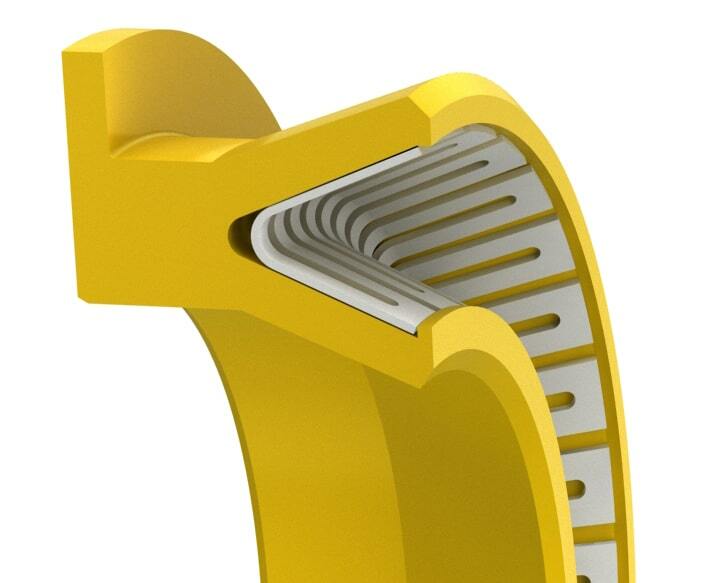 Standard Range Functional Range Tolerance D= B= D, B Tolerances +0.010/-0 min. max. 0.093 - 0.374" 0.093 - 6.000"
Standard Range Functional Range D= B= Tolerances +0.25/-0	 min. max. *Standard cross-sections (CS) listed and non-standard sizes can be provided for any shaft size up to 1600mm. **For pressure above 210bar or temperature above 95°C, contact engineering for clearances. 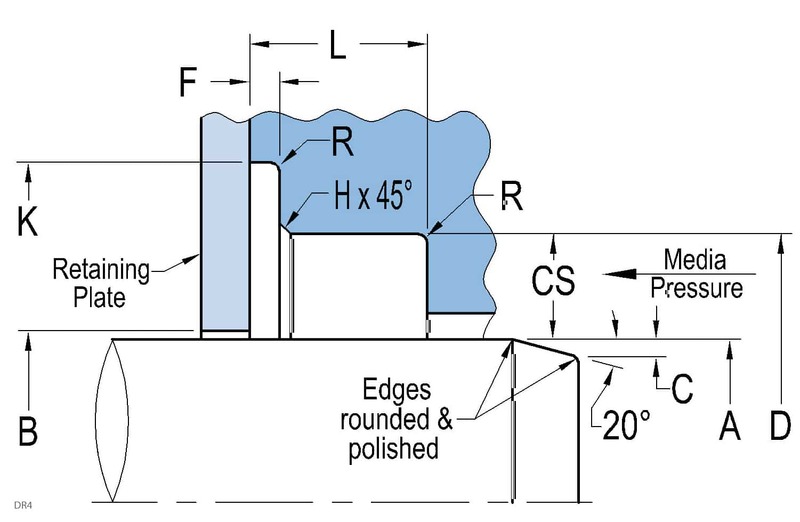 Surface finish: Shaft (A) plunge ground, zero lead Ra 0.15-0.30µm, Housing (D,L) Ra 0.4-0.8µm. Shaft material hardness 55-65RC. See Technical Info for more specific information.